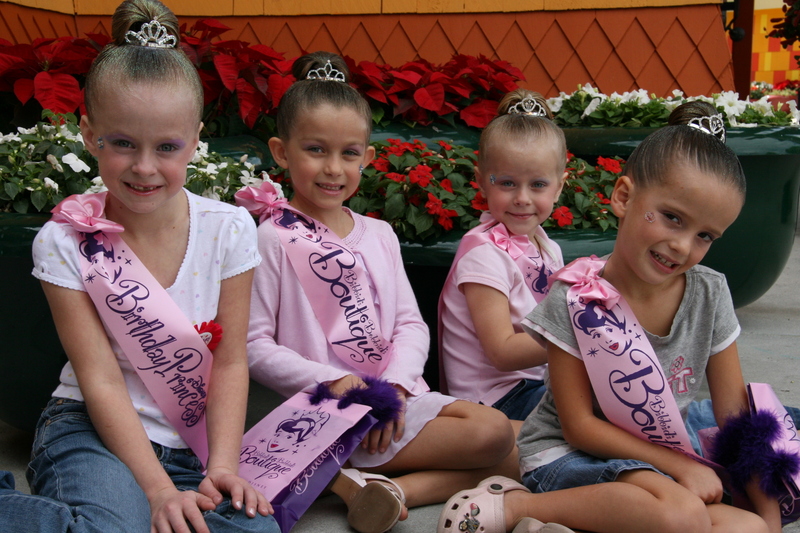 This year we decided to have Abby’s party down at Bibbidi Bobbidi Boutique at Disney so that Abby and a couple of her friends could have “princess makeovers”. It was tough, but we did find an opening at Fort Wilderness from Sunday till Tuesday. So, we packed up the camper this morning and headed down to Disney after lunch. We got the camper set up in record time (45 minutes) and we hopped on over to the boat heading over to the Magic Kingdom. We spent a majority of the time in Tomorrow Land. We even found a new “ride” we didn’t even know existed. It was an animatronic show called the Carousel of Progress, something Walt Disney designed himself and was presented at the 1964 World’s Fair. The audience rotates around various stages that talk about progress over the years. It wasn’t anything spectacular, we just thought it was amazing that there was something we didn’t know existed. After watching the Monsters Inc. Laugh Floor show we got pissed because we thought our stroller had been stolen. It turned out that one of the cast members had moved it so we wandered around in the dark for over five minutes trying to find it. This was complicated by the fact that Isabelle had passed out during the show because she was so tired from not getting a nap. We found it and headed over to watch the Wishes fireworks show. I’ve put a few pictures from my phone up on Flickr if you want to check it out. After the show, we headed back to camp to go to bed.